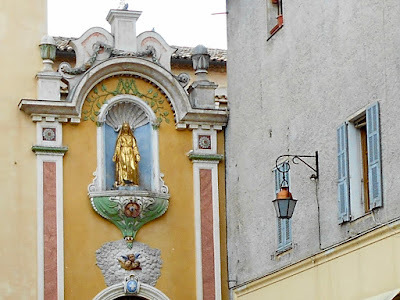 Lignes d'Azur Bus #94 travels from downtown Nice to Vence. 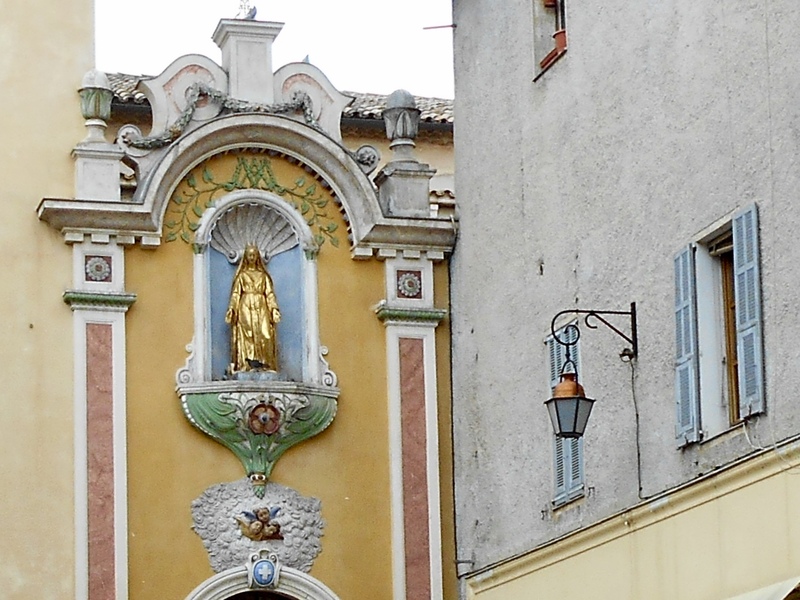 The hour long journey begins at the Albert/Verdun stop and ends in the centre of town. 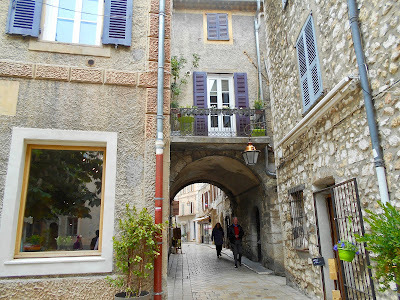 From there it is a short walk to the old town proper. 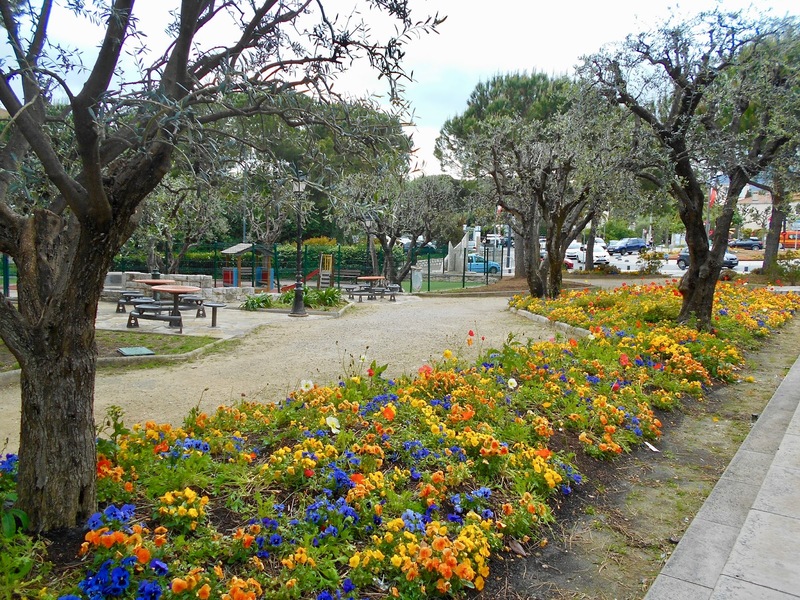 Along the way we passed by this lovely park. 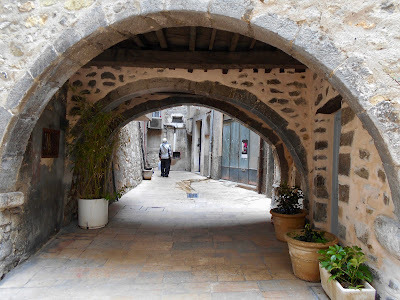 Strolling under an arched passage we entered the old town. 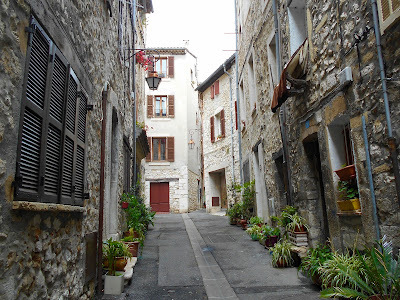 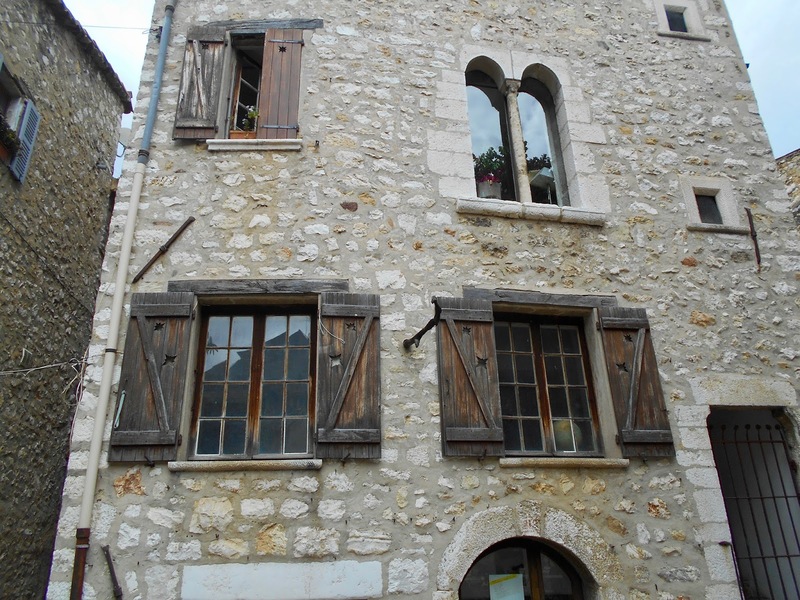 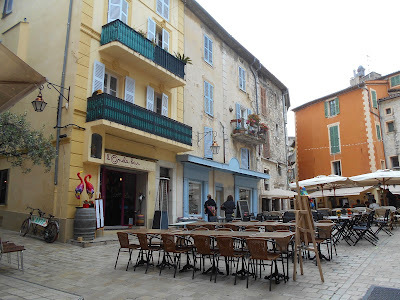 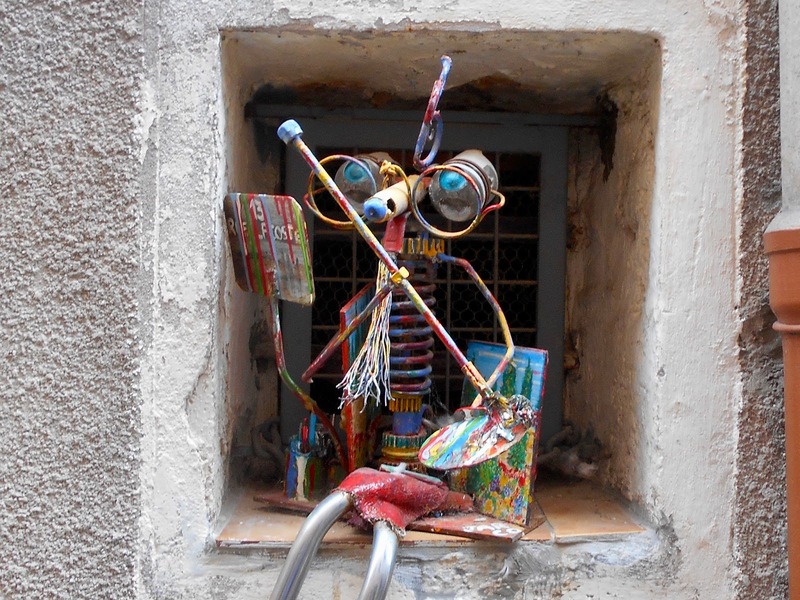 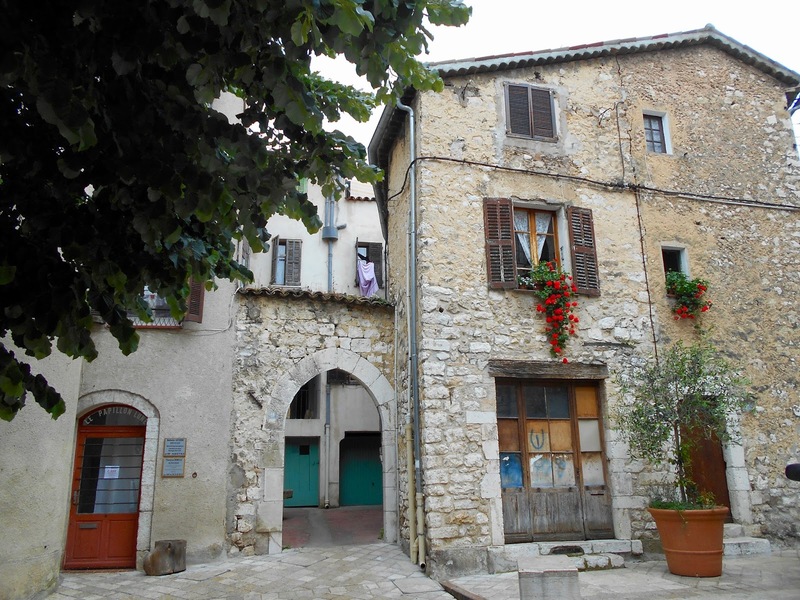 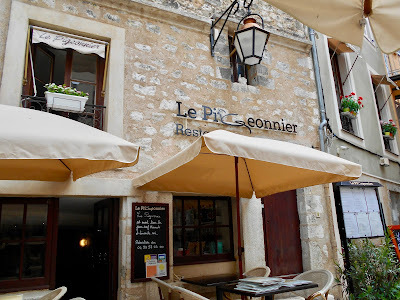 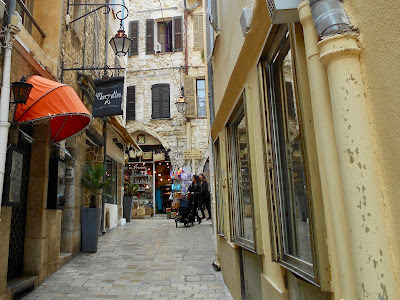 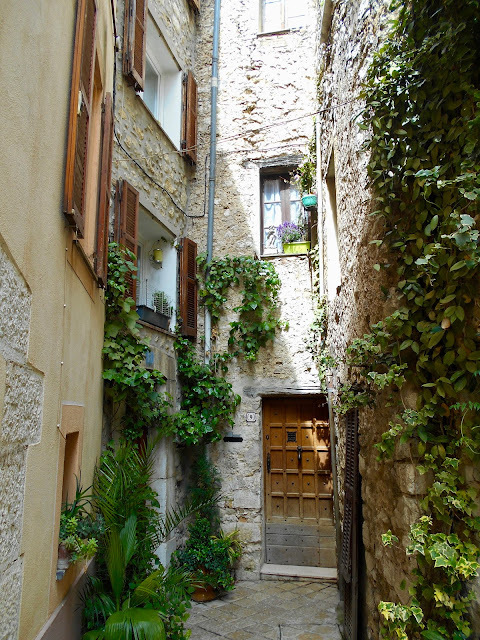 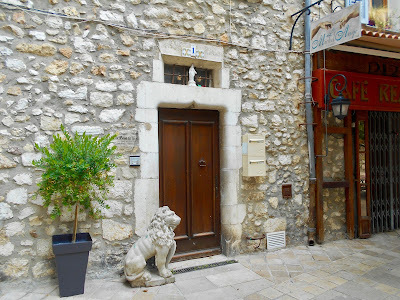 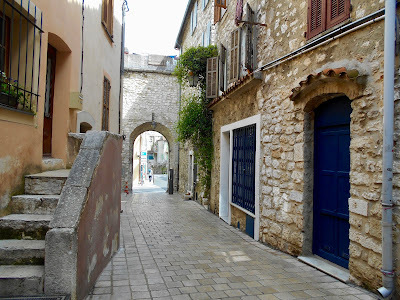 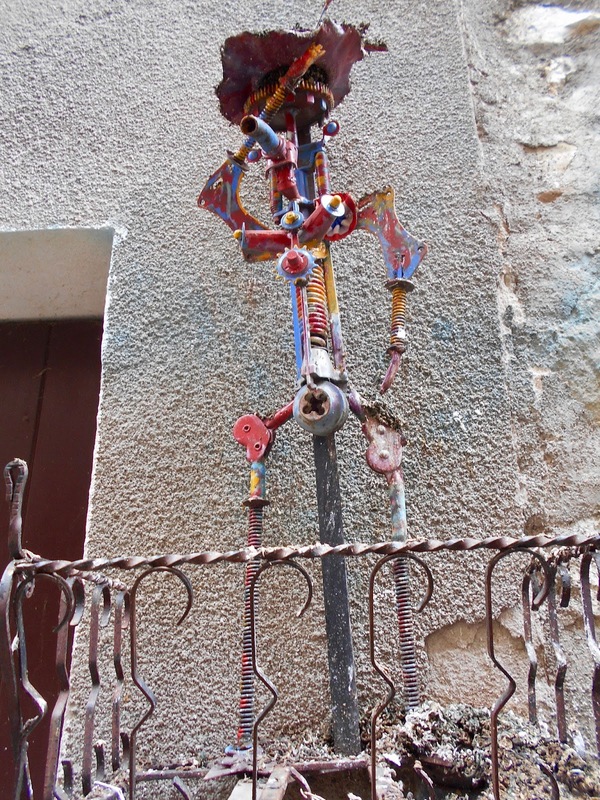 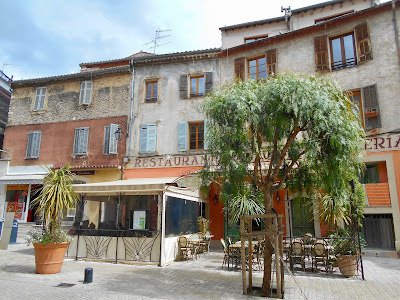 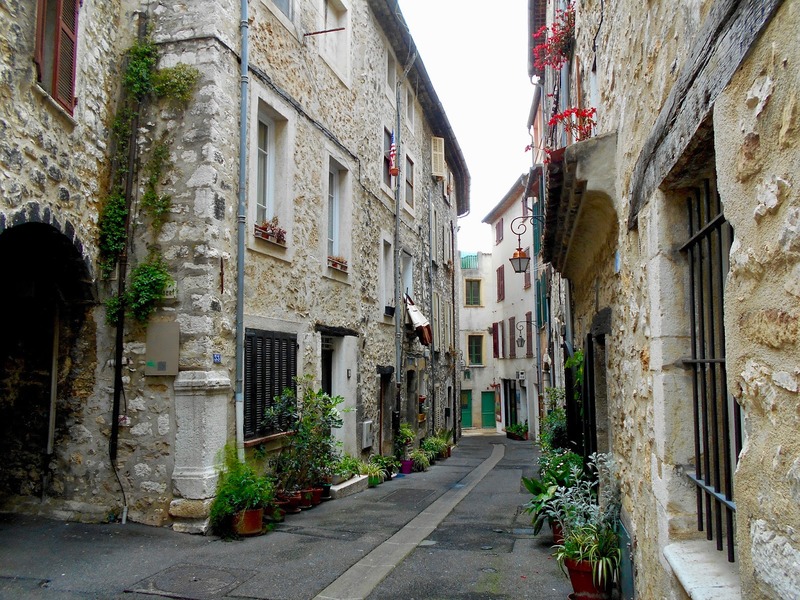 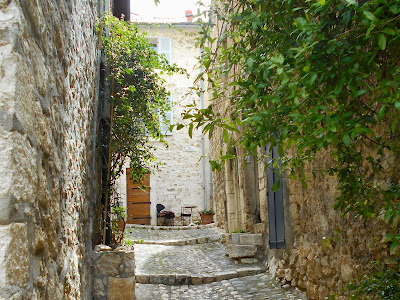 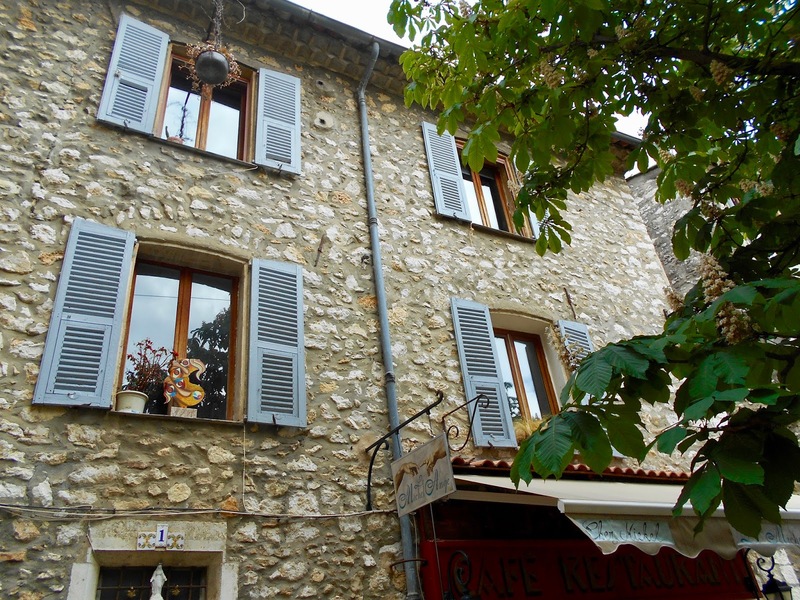 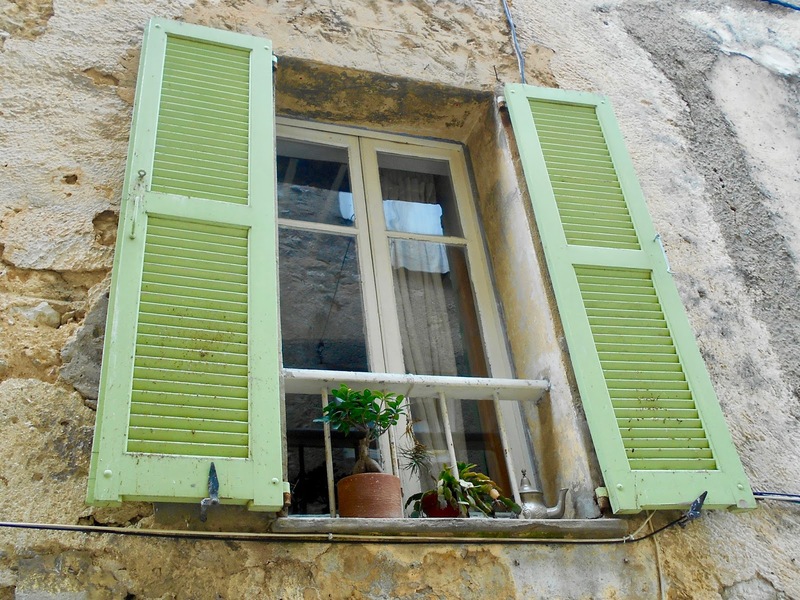 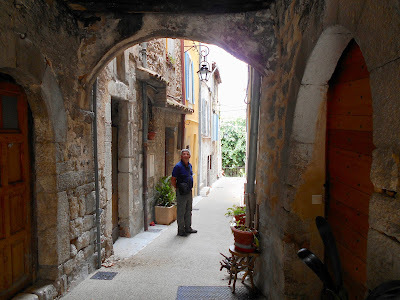 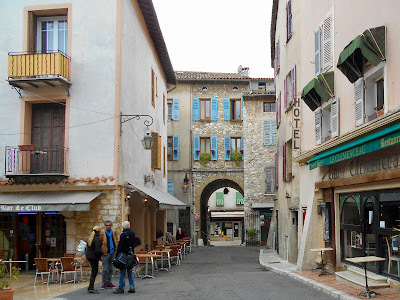 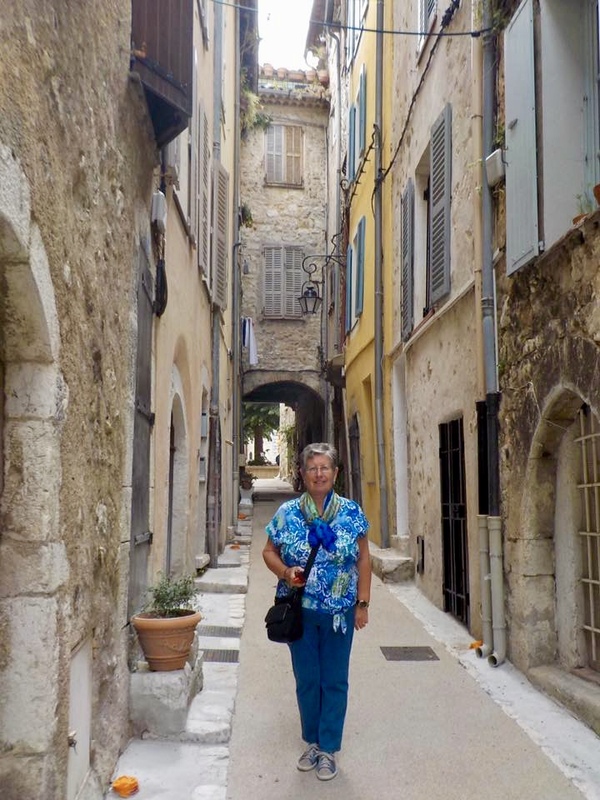 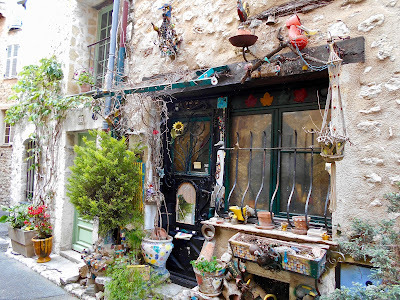 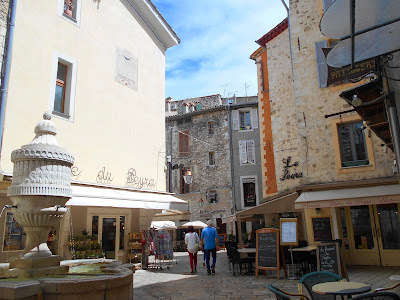 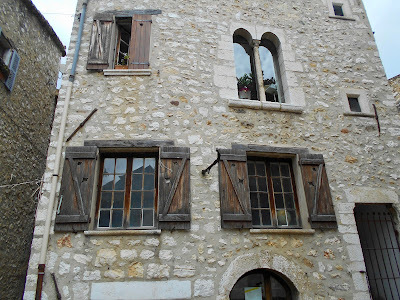 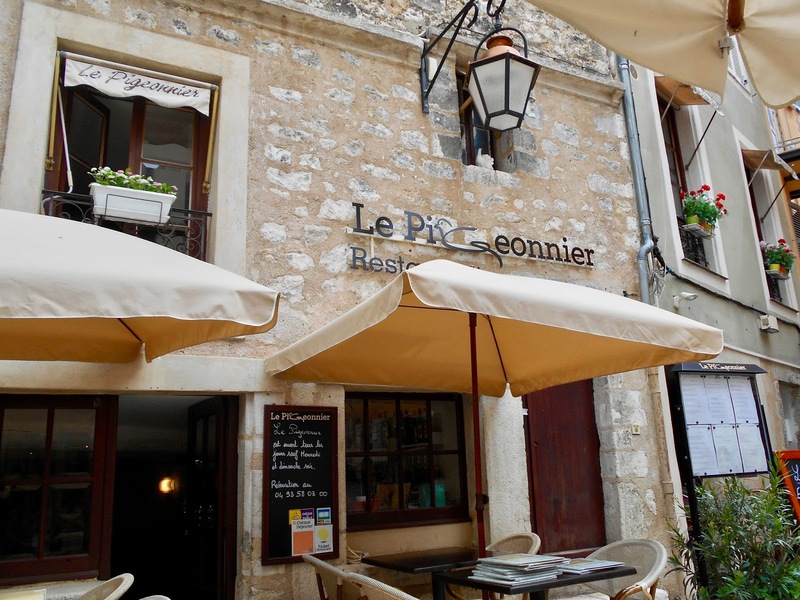 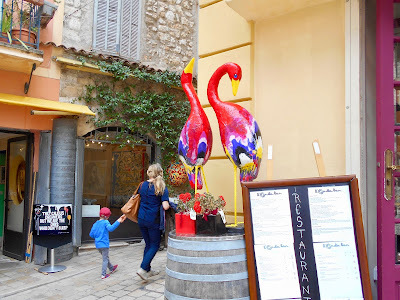 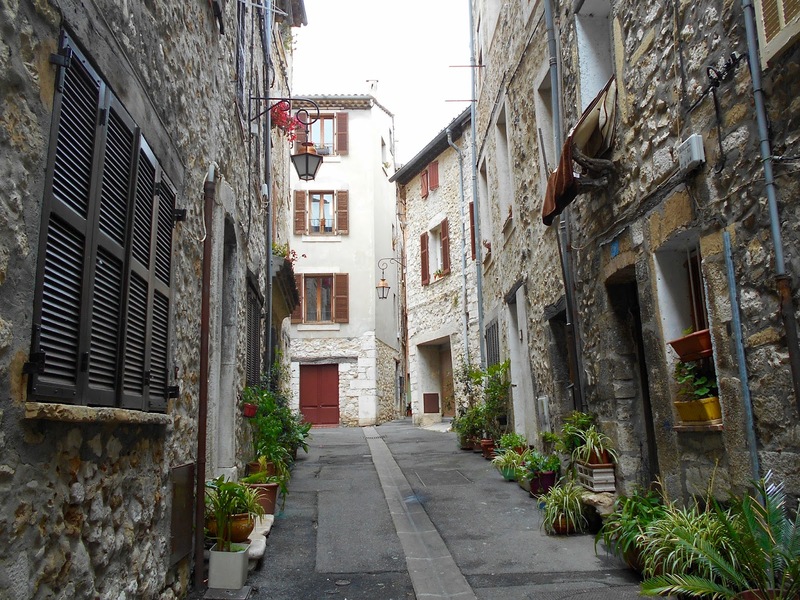 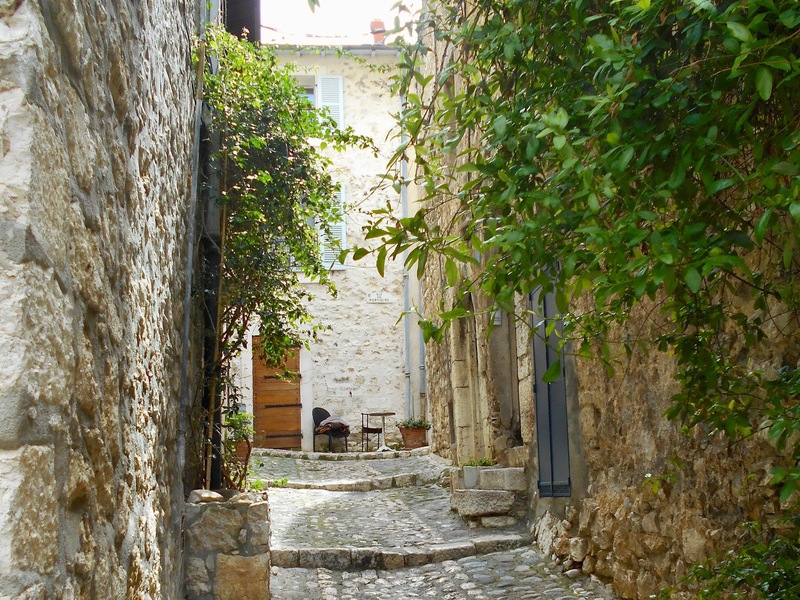 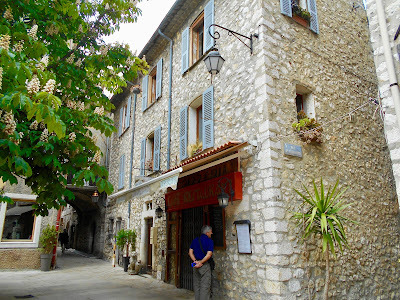 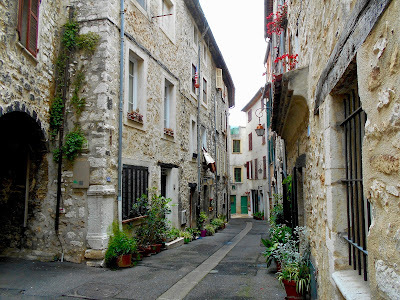 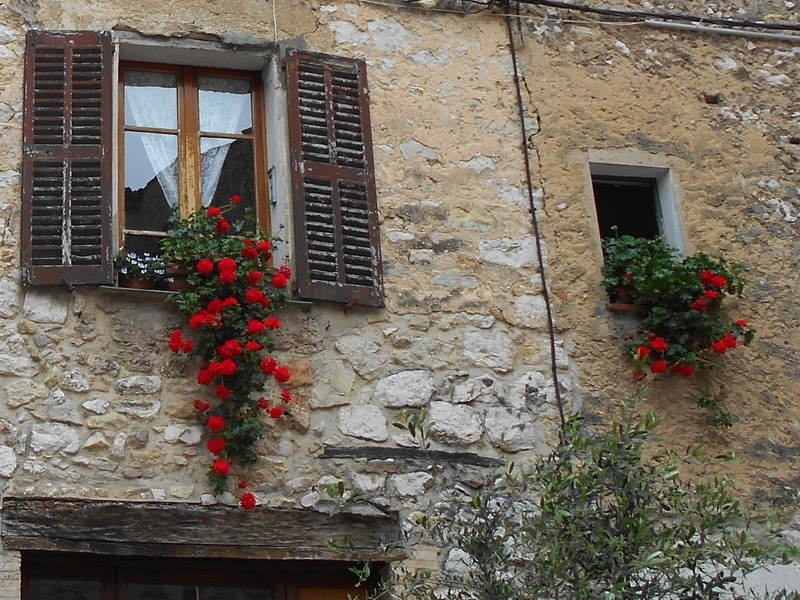 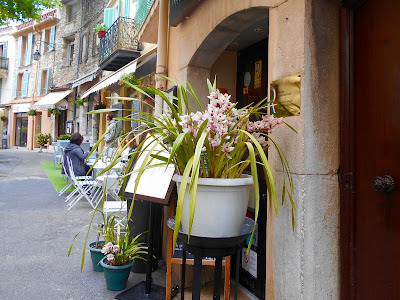 We had a wonderful time exploring Vence and did our best to capture a few memories. 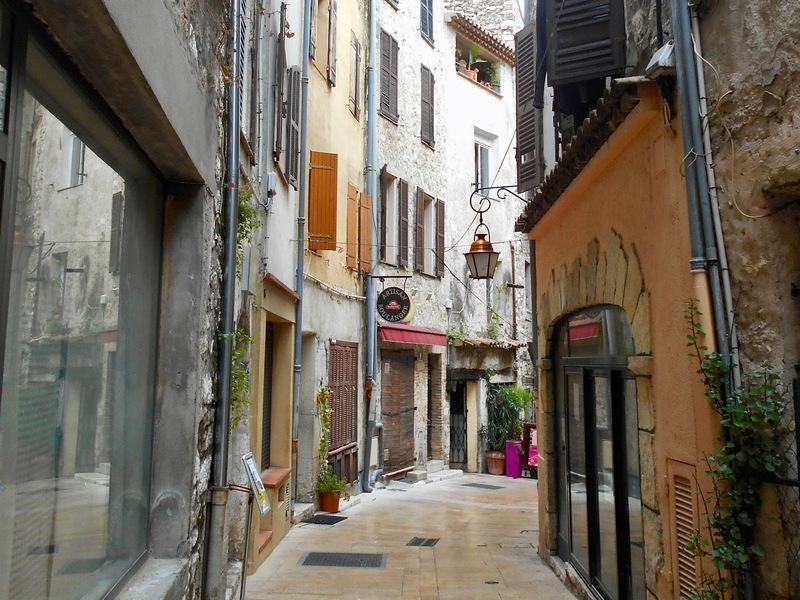 We apparently succeeded as I've found it necessary to divide the photographs into two posts. 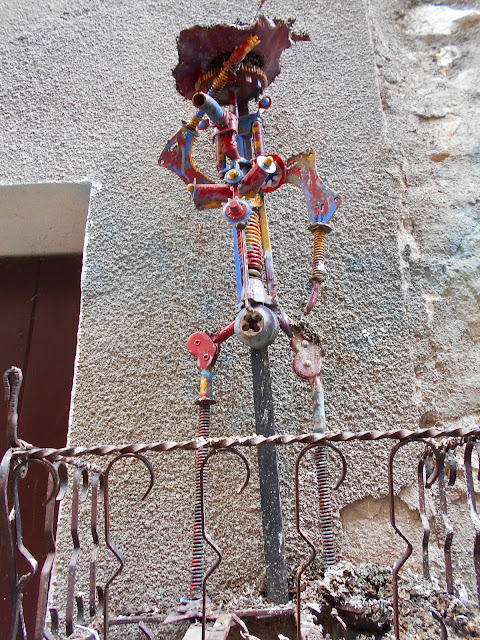 This is part one, beginning with one of those amazing artistic details that are oh, so French. 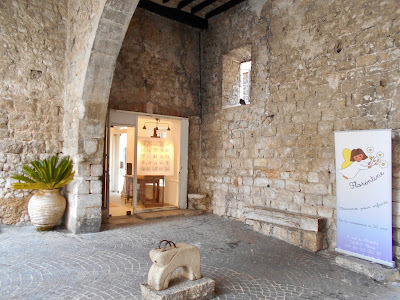 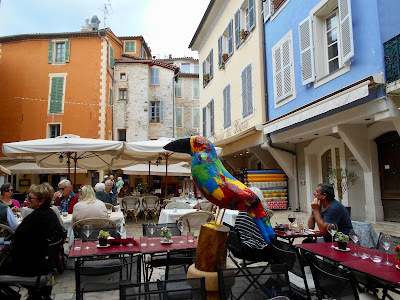 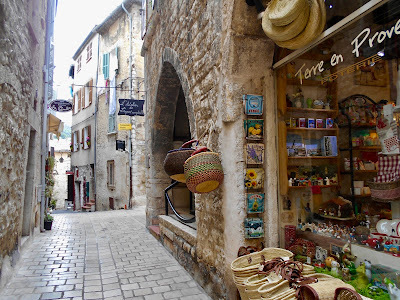 Unlike Haut-de-Cagnes that has a limited number of art galleries and shops, Vence has many, but pales in comparison to nearby St. Paul de Vence. 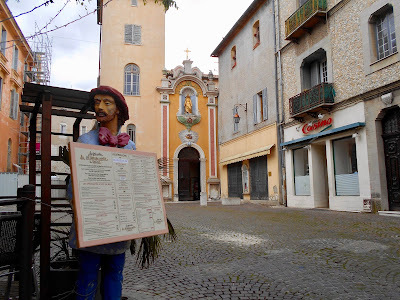 I loved the juxtaposition of the colourful church in the background with the restaurant advertisement. 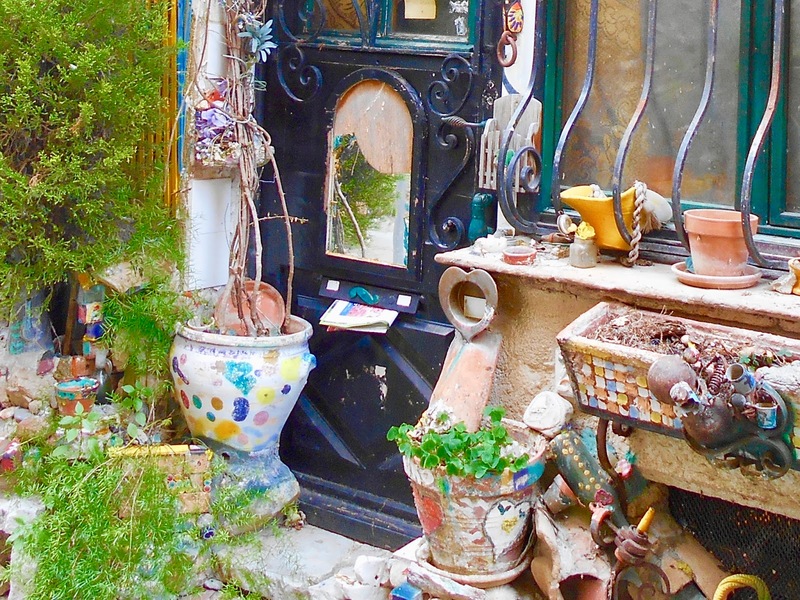 While the exterior is a wonderful combination of pastels, the interior is much more subdued. 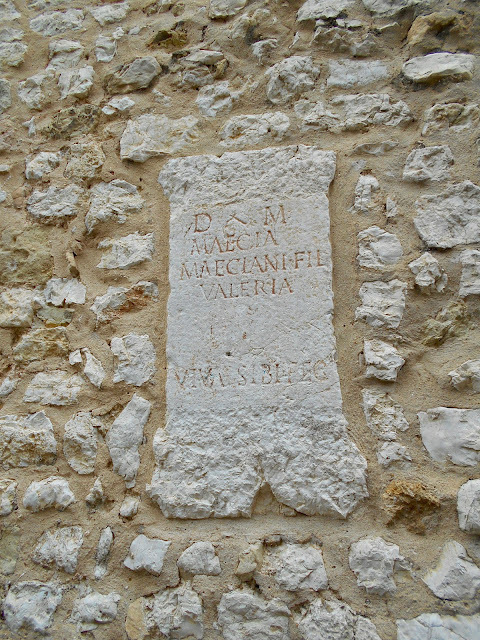 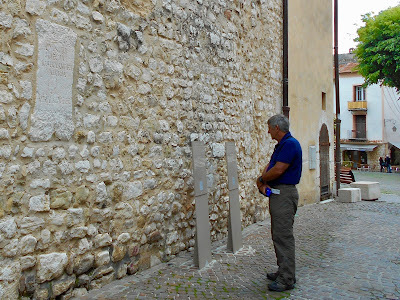 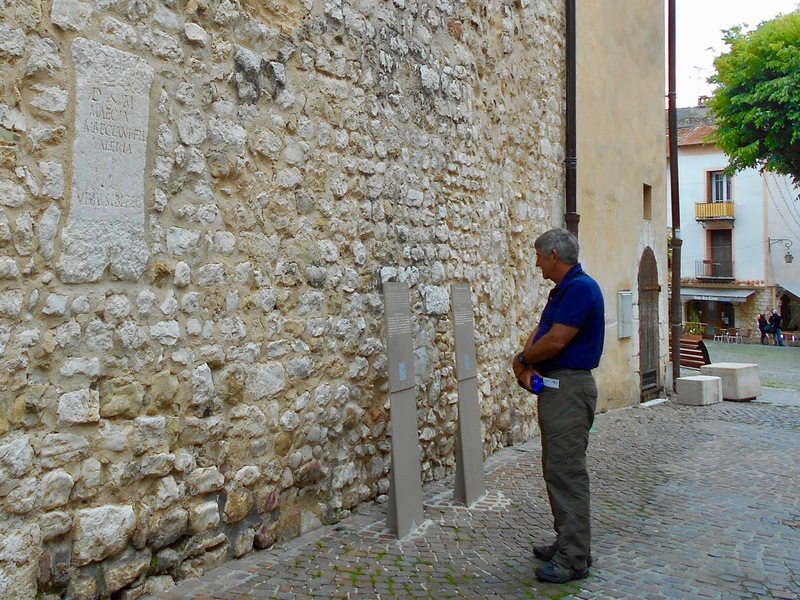 Vence has been inhabited for centuries and remnants of its Roman settlers is evident on this wall. 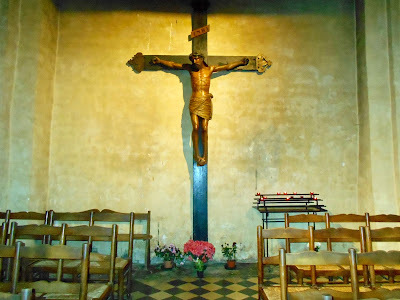 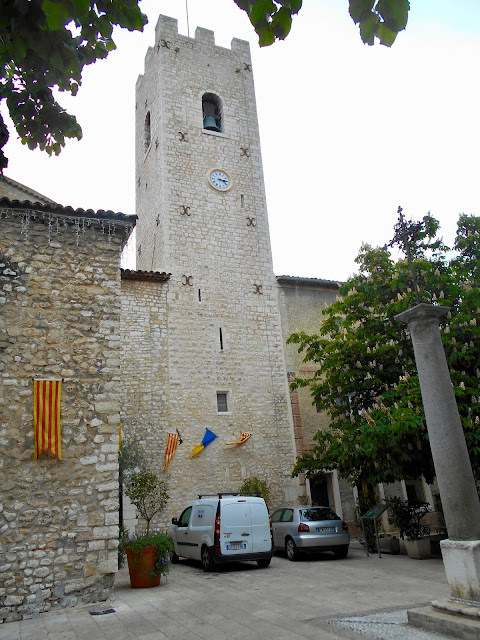 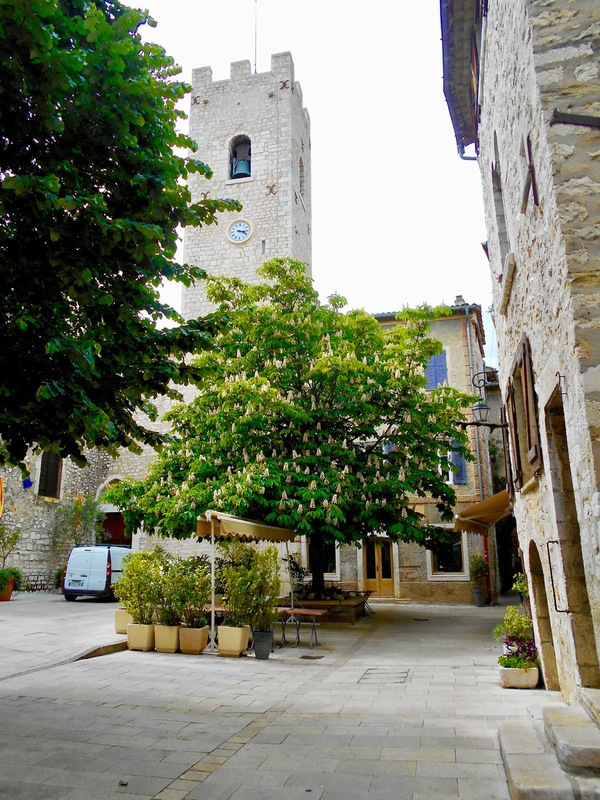 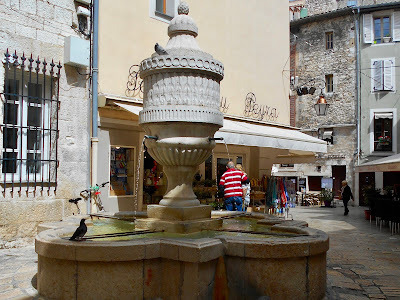 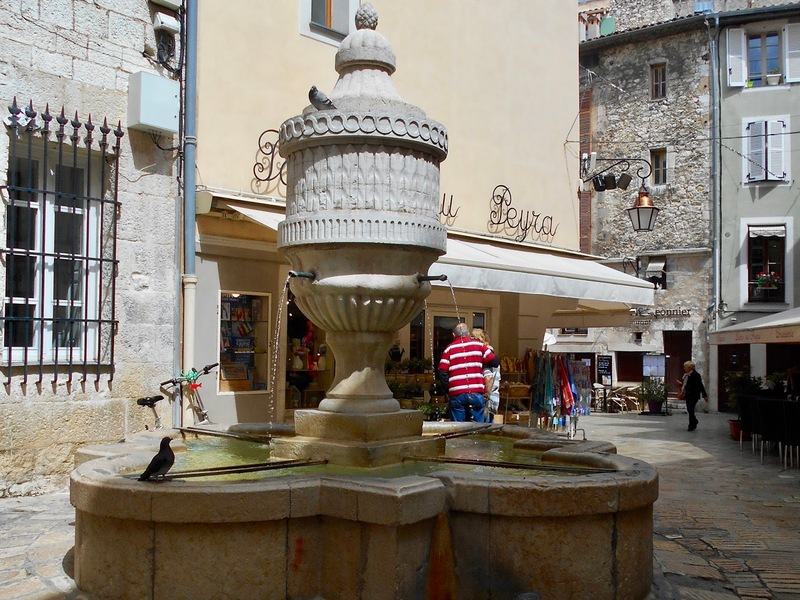 During this time period Vence was known as Vintium. This funeral stone is a dedication from the Roman soldier Lucius Veludius to his beloved wife Vibia Paterna. 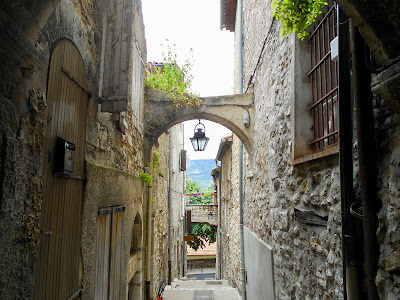 Like so many other hill towns near Nice this once includes narrow alleyways that ascent and descend. 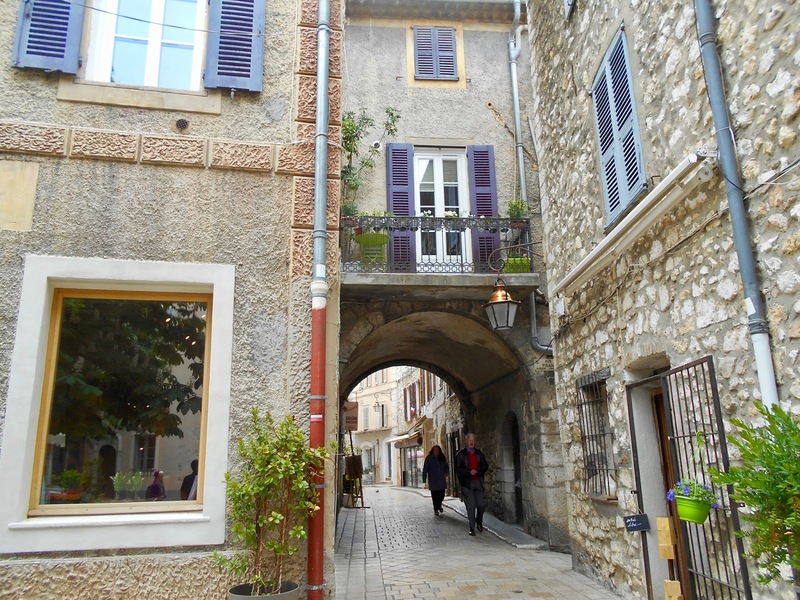 Walls join one building to another to create more living space. 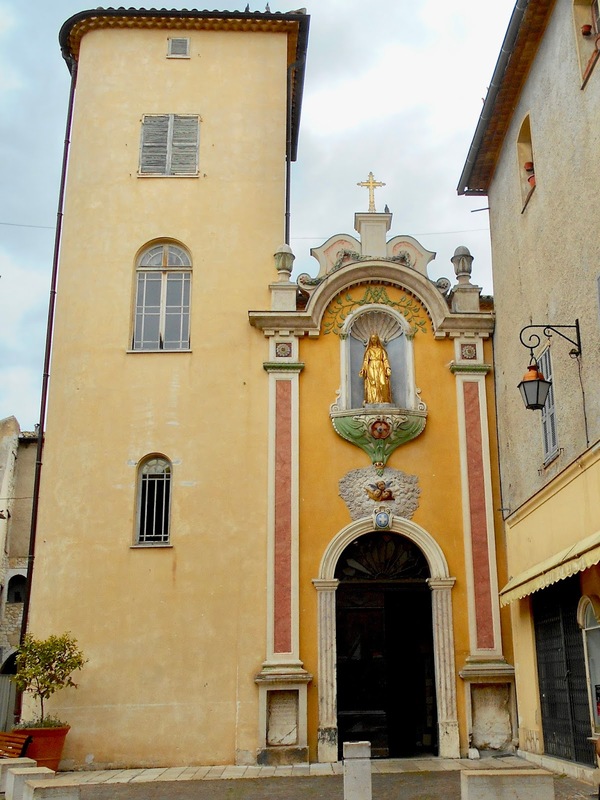 Across the way in the cathedral square is this gorgeous building. This man in the next shot is speaking to a friend - who was looking out of a second or even third storey window. 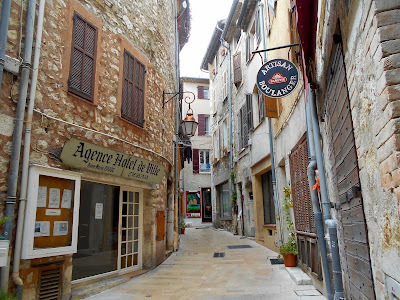 This next photo is one of my favourites as it incorporates everything I admire about a medieval village - narrow, curved alley ways surrounded by all one needs - everything from homes to businesses. Now and then the alleyways are dead ends. ...while others go beyond the walls and into the more modern part of town. 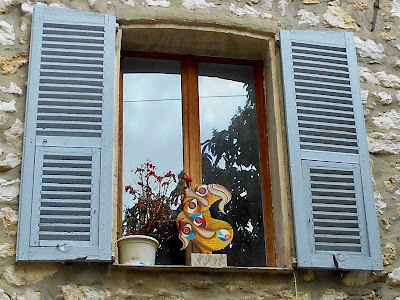 One of the fun things is discovering the bits and bobs people place on their windowsills. It varies from the ordinary - ie. potted plants to fanciful object's d'art and on occasion what can only be described as bizarre.